Teens from all over the Eastside are invited to an epic event by the sea! For only $15 a ticket, you’ll be treated to a 3 course meal, DJ, PhotoBooth, Games, Prizes and a night to remember!! This event is a collaboration by Youth Agencies all over the East of Christchurch, with support from Strengthening the Youth Sector and Christchurch Earthquake Appeal Trust. 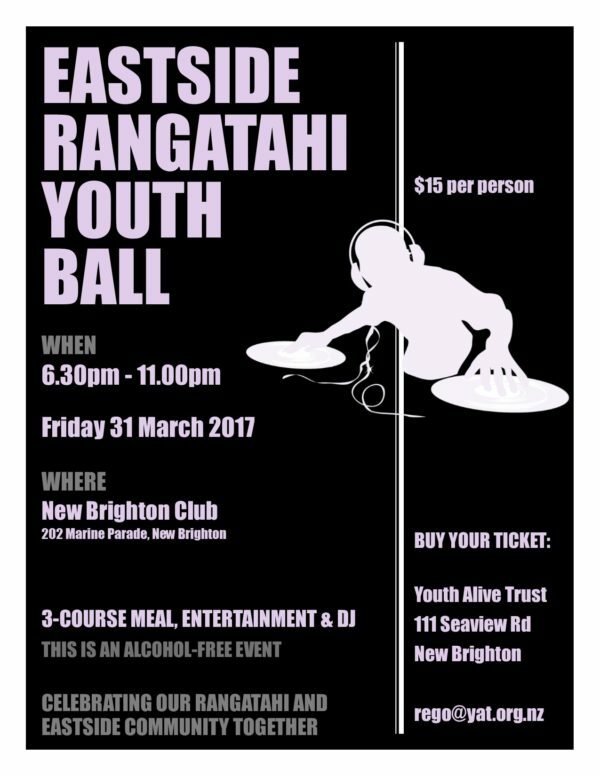 The purpose is to strenghen our network amongst eastside agencies, break down barriers, create new friendships and have an epic night!